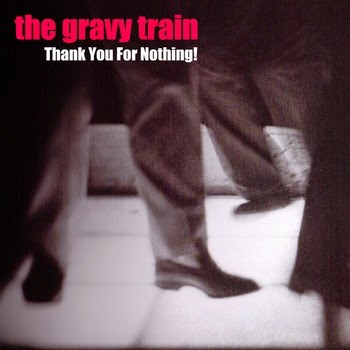 The Gravy Train may have only released three and a half singles (one was a split flexi, you see), but they were certainly no strangers to the flourishing UK cassette scene of the early '90s. It looks like there were just as many songs given to such great compilations, like "Positively Teenage!!? ", "C92" and "Teeny Poppers", as there were on their own records! So, curating a collection of this band's work involved a lot of patience and dodgy cassettes (so the sound quality is not always perfect), but I think the resulting 28-track compilation was well worth the effort. On this disc, you'll find all ten songs from their singles, a majority of their compilation contributions (a couple were unsalvageable, regrettably), as well as tracks from their never-released debut lp and a few unreleased gems for good measure. Dig in!